We have been grappling with the Gap between Strategies and Execution in my organization. The article is insightful and would go a long way to helping out. Great overview! Can the spreadsheet that is displayed in the presentation be made available? I have used FocalPoint, ProSight, Accept 360 and others for gap analysis, and it would be nice to see your template. Unfortunately, the spreadsheets in the presentation were intentionally obscured since they were a result of a client engagement. 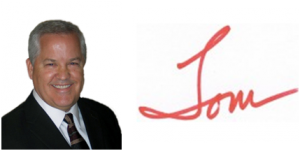 My practice is to customize the information tracked based on a client’s needs. 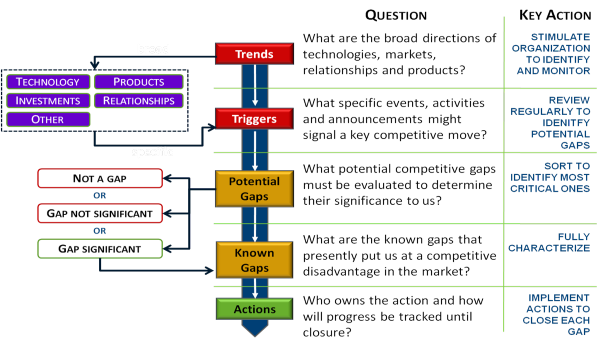 Nevertheless, there are a number of basic questions for each category (trends, triggers, gaps and actions) in the presentation located at “http://www.jthawes.com/Competitive Gaps.pdf”. You might find these helpful. Please share the Activities involved in conducting a Gap analysis for an big organisation. quite informative and practical approach. thanks.